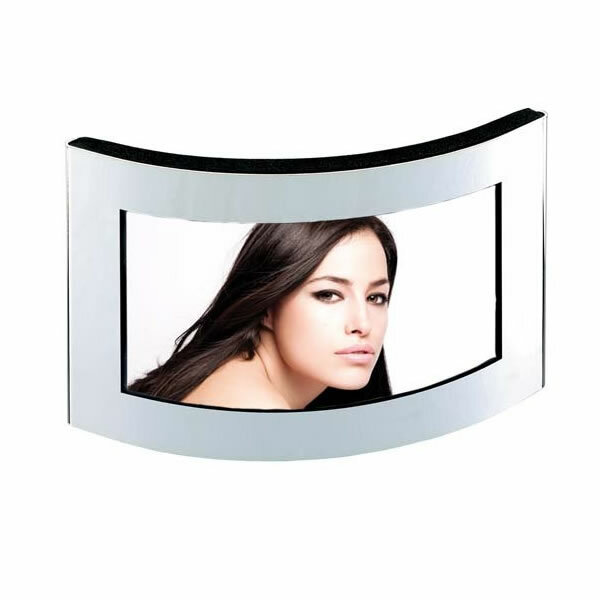 A distinctive curved picture frame in high quality silver plated finish and suitable for engraving. These stylish photo frames are equally suited to the office or home, and can be engraved with corporate logos or marketing messages as promotional merchandise, or with a personal inscription for a unique anniversary gift. We offer FREE ENGRAVING and fixed price UK delivery. The overall size of the frame is 210mm x 150mm (8.25in x 6in) and the picture size is 3.75in x 6in / 95 x 150mm.